4 Tax Scams To Look Out For: Avoid The Trap! The digital world is a dangerous place. As more people conduct themselves online, more threats open up to catch out the unwary. HMRC tax scams, for instance, are on the rise – and a larger number of people are handing their information over without taking due care. Our country has a very large student population. Scammers have noticed this fact, and in autumn 2018, they targeted some of our most prestigious universities. Durham, Plymouth, Queen Mary London, Sussex and Manchester Metropolitan were among those that received a number of fake emails in their networks, received by hundreds of thousands of students. The messages claimed to be from HMRC. They offered a tax refund if the user followed a link and confirmed their details. An ‘authentic’ sender address (finishing in .ac.uk) was even used to back this up, as well as HMRC’s logo and branding. HMRC issued a warning back in November, clarifying that they never send official correspondence via text or email. “I’d encourage all students to become phishing-aware,” said Mel Stride, the Treasury’s financial secretary. They are urging those affected to forward them the emails. Car tax is a sore point for many drivers. Much of that is driven by the changes to it in April 2018 – something that’s left people confused and hopeful for a refund on overpayment. So it’s no wonder that scammers have imitated the DVLA this year. A refund is the hook for false DVLA emails. They offer a reimbursement worth hundreds of pounds. They will ask for your National Insurance number, standard details like your address, and your full debit card information. According to the Express, the official DVLA logo has been stretched in an “unnatural” way; one of the giveaways that the email isn’t what it purports to be. The fact that fake DVLA messages ask for your mother’s maiden name, in a lot of cases, should also sound alarm bells. Tax refunds, however, will only be announced with an official letter. If you suspect you have received a fraudulent request, check that they are using a .gov.uk website, and try to get in touch with them through the details provided on the official contact page. Out of our round-up, this might be the most insidious: an actual series of voicemails left under the guise of HMRC, asking for a call back or to confirm financial information over the phone. These voicemails have been an issue throughout 2018. It’s been a big problem, because the government does make phone calls when they want to speak to you. But HMRC tax scams are differentiated when they don’t use a reference number you’ll recognise – your UTR, for instance. The self-employed are a common target. If you’re called with a similar information request, try and verify it. Look up the number online; it could be blacklisted as a scammer ID. If the number is legitimate, ask for a form of identification you recognise on the caller’s end when dialling back. Back in February, Hertfordshire’s Three Rivers District Council announced they were being impersonated. Residents were urged to take care and check that the correspondence was valid. Yet it didn’t save everyone from handing over £150 in exchange for £2,000 of council tax refunds that never came. Council tax messages are popular for scammers because they are so widespread and apply to any working professional. The difference is that real refunds hit your bank account almost straight away. The council already has your details. You won’t be charged for the reimbursement either. These are two signs of a false authority. We don’t want you to fall victim to a scam attempt. It’s important to be knowledgeable about the forms they can come in, to take the proper precaution, and to know what to do if you receive a suspicious message. Want an extra security tool? 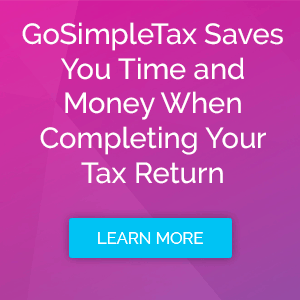 GoSimpleTax software is recognised by HMRC and can be used to make an accurate, easy Self Assessment submission. Best of all, it’s backed by a strict data sharing policy and 256-bit encryption and can be found on the list of HMRC recognised software vendors Learn more with our free 14-day trial.